Perhaps you are worried about your carbon footprint, or maybe you are switching over to solar panels and need to reduce your household electricity useage first. 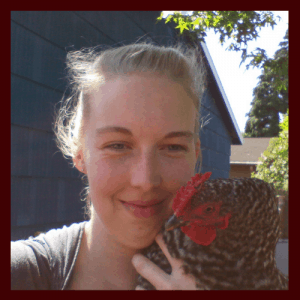 Maybe you need to reduce that electric bill and save up some money to buy some backyard chickens! Whatever the reason you need to save electricity here are 17 ideas to get you started. Using an electric dryer is a huge drain on your electricity. I’ve saved over $30 on my electric bill just by using a clothesline. Even if you don’t have a clothesline out back you can still air dry your clothes. Sometimes you even get to be creative like when it’s the middle of winter and rainy. Hanging your clothes out does take a little more time than throwing them in and pushing a button, but it also has the potential to save a lot of power. Going fridge free is not a good choice for everyone, but maybe downsizing your fridge is a better choice. The less space you need temperature controlled, the less electricity it will take to do the job. Maybe by simply changing your cooking or shopping habits you can change your carbon footprint too. If you just bought a new fridge and freezer set it only comes in size mammoth don’t despair! Simply keeping it full will decrease the amount of electricity needed to keep your cold stuff cold. You can even stick a few jugs of water in to help with mass if it’s getting close to grocery day. This is one of the easiest changes you can make to save electricity. Leaving a room? Flip the switch in your way out. Just make sure you are the only one in there. I’ve been known to accidentally turn off the bathroom light while my husband is in the shower. Oops! Your water heater takes a lot of energy to heat up your water and keep it hot for you. One simple change you can make is to wash all your laundry in cold water. Unless you are washing cloth diapers or something REALLY nasty, cold water will get them clean just fine. Turn down the heat on the shower if you can stand it, or even just washing your hands in cold water instead of running the sink until the water is warm can help save electricity (and water too!) Heat dissipates more quickly from your pipes than from your hot water tank. Did you know that leaving your phone and tablet chargers plugged into the wall is costing you money? When you unplug your phone, pull the charger out of the wall. It’s really silly to pay for something you’re not even using and it takes just a few extra seconds of your time. Once again, why pay for something you’re not even using? Hit a button, save money, whoot whoot. We LOVE our wood burning stove around here. Not only can you save money on your heating bill, decrease your carbon footprint, but you can also forage your fire wood. Plus it’s fun to watch. We like to call it our caveman TV, because staring at the flames can be so mesmerizing. Maybe heating with wood is just not possible for your situation, that’s okay, you can save money on your heating bill too! Turn your thermostat down a few degrees and put on a comfy warm sweater. (You could turn it completely off, but that might be a little TOO chilly!). Cozy up with a blanket and a book and maybe some hot chocolate, and get your fill of cool winter days before the heat of summer comes around again. Speaking of summer, if you run an AC, consider planting trees on the south and western sides of your house. The shade will help it stay cooler. Bonus points if they are fruit or nut producing trees too! Maybe you can’t afford to completely switch to solar, but using solar chargers for your devices, or solar lights in your garden are small ways to take advantage of the sun. Like line drying, this option will take a little more time than running a machine. But sometimes taking it slow is good. Instead of listening to a rackety dishwasher, take some time to fill up the sink, enjoy the bubbles, and meditate while being productive. Baking bread? Throw some squash in there too! Dinner’s cooking? Why not take advantage of it’s warmth and start some jerky? Fill it up and get more done all at the same time! This is another easy peasy trick. The lid holds the heat in, helping your pot heat up faster and ultimately saves you time and money. Booyah. Exercise AND energy savings all at the same time. Very nice. Here’s my favorite ice cream maker as an example. Using candles or oil lamps can be very picturesque. Also, the dimmer light helps encourage your body to produce melatonin, which can help you get more sleep. I know I sure love more sleep! What’s your favorite way to save electricity? Share it in the comments below! I think this list is great and I already apply a number of these. But I do have to disagree with you regards washing dishes by hand. Please see the following site for more info. Also washing your car at home takes much more water than using a car wash. But since you live in rainy Portland, you don’t need to worry about it much. We’re in SE Washington state. Thank you for all the effort you put in and the knowledge you share with us. The studies I had seen that looked at water use in hand washing versus using a dishwasher all used the most energy efficient doshwashers. I wish I had one! I’m pretty sure frugal handwashers can still outperform many older dishwashers. Someday I’m sure that won’t be the case anymore, but I don’t think it’s here yet. Great point about car washing. There are definitely some water conserving car washes out there. I use a wooden wall mounted clothes rack to dry my wash in the winter. It is mounted high on the wall near the wood stove. I got it from the Vermont Country Store catalog. Happy $$$ saving. Anne L.
Nice! Sometimes I’ll set up a load to dry on a rack in front of our wood stove before bed. It can sometimes dry as fast as the dryer. That’s awesome. I’m not a fan of handwashing, but I bet the soap is lovely. This website is awesome. This helped me with saving energy in your home office it was very informative. 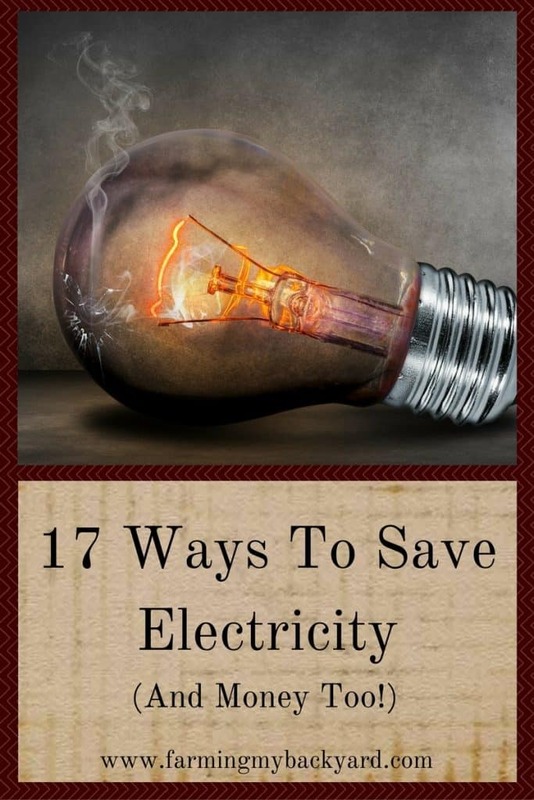 You have mentioned totally helpful tips on how to lower your electricity bill & save money too. Thank you for creating this article. It is awesome!